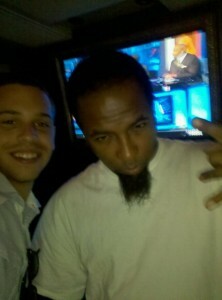 Recently, KAMP Student radio (located in Arizona) sat down with Tech N9ne for an exclusive 35 minute interview. Providing a very candid look into the mind of Tech N9ne, the interview covered a wide variety of topics. Tech discusses his feelings on the music industry and the role Strange Music plays in changing the model of success. He recalls the first time the public was exposed to Tech N9ne and how they reacted to the music. Tech also details his very first encounter with Juggalos, his connection to them, and his fear of the clown. Click here for the full length interview.